Mysi DeSantis, MPA, PHR is the Communications and Human Resources Generalist of GovHR USA. She joined in 2013 and has served a key role in internal human resources policies and procedures, benefits administration, risk management, payroll processing, interim staff placement and on-boarding, development of social media outreach, utilization of web-based tools, website maintenance, administrative assistance, event management, research and reporting. 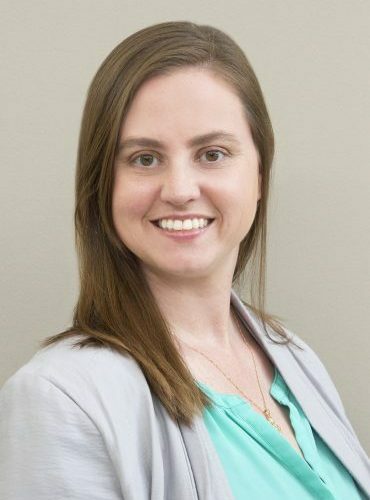 Through her government and non-profit administration career, Mysi has acquired varied experience in coordination of public efforts, public policy, marketing, grant writing, fundraising, event planning, research, program evaluation and community development. She has extensive technical skills and knowledge in web based programs, database administration, html, desktop publishing, and reporting. Mysi received her Bachelor’s in Psychology with double minors in Urban Studies and Management from Wittenberg University (2003) and Master’s in Public Administration (2005) from Northern Illinois University. As a graduate student, she served as an Administrative Intern for the Evanston City Management Office and as the Finance Graduate Intern for the City of Aurora, Illinois. After graduation, Mysi accepted a position with the Village of Huntley as a Management Assistant, where she worked in Public Information, Planning and Transportation, Project Management, and Special Events. After leaving the Village of Huntley in early 2007, Mysi served as a Development Associate for Family Alliance, Inc., a non-profit day center for seniors. From 2008-2011, Mysi served as the Continuing Medical Education Manager for the AADEP, a non-profit professional association for disability evaluating physicians. In 2011, Mysi co-founded CitySquare Solutions, a public administration and technology consulting services firm. Additionally, Mysi achieved Professional Human Resources (PHR) Certification in April 2017. She lives in Rosemont with her husband and three children.